Napa Valley native Julianna Boydston joins the nursing faculty this year. She has a great mix of both indoor and outdoor hobbies, and she loves what she does. 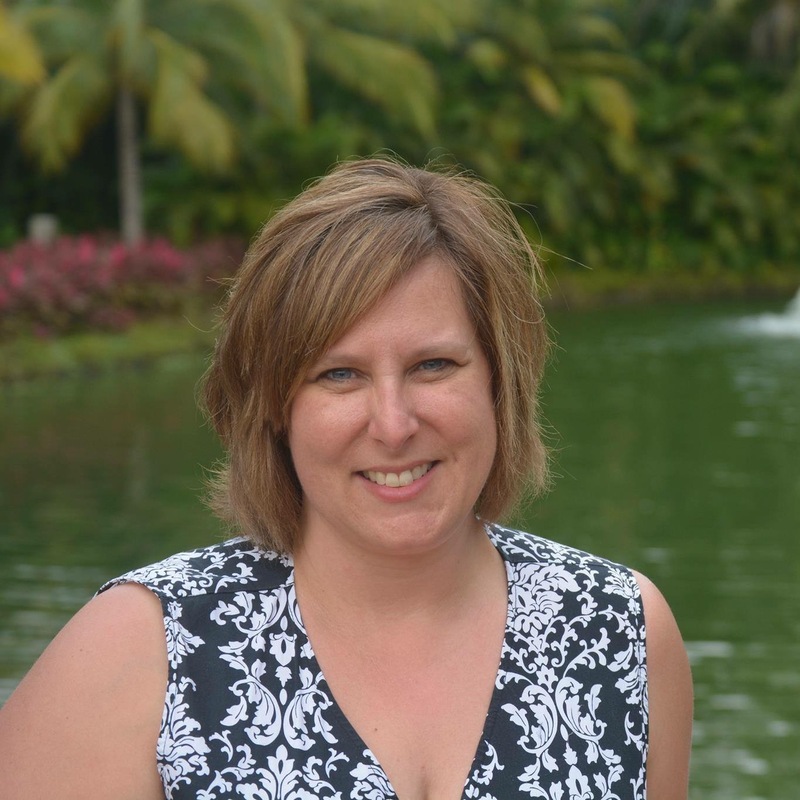 Check out her profile below to learn more about the department of nursing’s newest addition. What drew you into nursing? I had been looking for a career to keep me closer to home. After welcoming our first child into our lives, I decided the time was now to begin a career in academia. I have always loved education and teaching in the hospital setting; I am now excited to have the opportunity to educate our newest generation of nurses. Nursing is not only a profession, but a calling for most, and I am pleased I will be able to work with students who share that calling. And what brought you here? The nursing program at PUC is very highly regarded in the community and I am happy to be a part of such a great program. Where were you working prior to coming to PUC? I was a registered nurse at UCSF Benioff Children’s Hospital, San Francisco. I worked as a bedside nurse in the pediatric cardiac ICU where we take care of critically ill infants, children, and adults with congenital heart defects. We recently added a cardiac transplant program to the Pediatric Heart Center, as well. So you’re practically a local, but has anything surprised you since arriving at PUC? I grew up in Napa Valley, so I am used to the beautiful scenery and surrounding areas. I love the tall and majestic redwood trees surrounding the campus and on my drive into work each morning. There is something so special about these beautiful trees. After learning this group of redwoods are the most inland gathering of these trees, I find them to be even more special. My favorite hobby is riding horses. I love to ride out in the hills, alone or with friends and family. I also enjoy cooking for friends and family, and baking cookies, pies, and lemon bars. Everyone has a surprising element to them—what’s yours? I am secretly very shy by nature. Some people aren’t sure what they want to do with their lives, even while they’re studying in college. But Sandra Ringer, the newest member of the department of nursing, has known virtually all her life what her career would be. 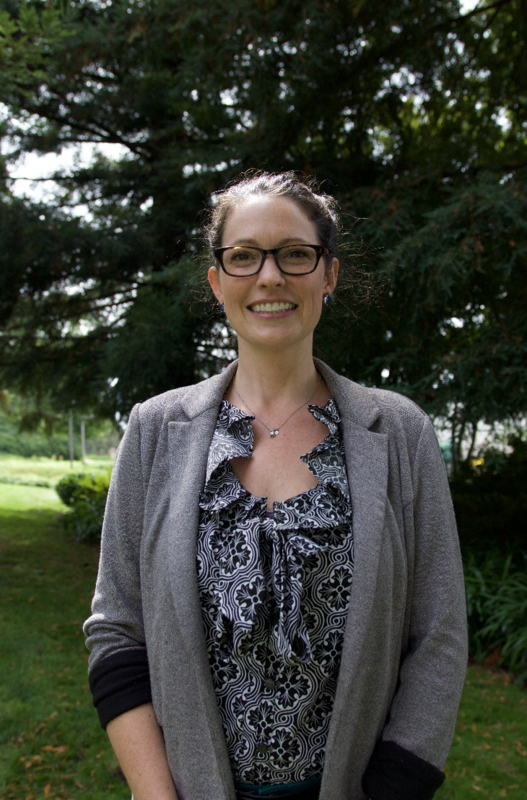 We sat down with Professor Ringer to learn more about her and her passion for what she does. Welcome to the team, professor! Where was home before now? Prior to coming to PUC, I lived in Alberta, Canada, where my husband, David, was the administrative residence hall dean at Burman University. The licensing and visa laws for out-of-country schooled nurses were complicated so I could not get my nursing licenses immediately. The situation prompted me to go back to school. I worked in the IT department at Burman University while going to school full time. Why did you choose to teach at PUC? Short answer: God’s leading. Here’s a longer answer! It became evident to my husband and I that becoming licensed as a nurse in Canada was not going to happen for a long time and I was very concerned about being out of clinical practice. We began to earnestly pray for God’s leading. I considered moving back to the U.S. while my husband was in Canada, but neither of us liked that very much! There were several viable job options we found, but either they fell through or we felt strongly that we needed to wait. This past spring, staff members at PUC began talking to us about job possibilities. We felt God leading us toward this fantastic school. It’s also a bonus we are now only seven hours from our oldest son! You obviously really love what you do; what originally drew you into nursing? At the age of 10, I found an old book on our bookshelves called “Whispering Halls.” It was about a nurse and her journey at Washington Adventist Hospital in the 1940s. There was something in this book that lit a spark regarding the nursing profession, and I knew that when I grew up, I wanted to be a nurse. What about when you’re not in the classroom or your office? What are some of your hobbies? Traveling and exploring new areas, cooking, baking, singing, reading, and spending time with my awesome family. One last thing: What’s something people may be surprised to learn about you? I am a certified scuba diver! I love to snorkel or scuba dive in warm-water climates. There are over 70 different majors at PUC, which offers students plenty of options to choose from. Some of our more popular and unique departments include nursing & health sciences, biology, visual arts, aviation and education, which is a nice mix making PUC a true liberal arts college. Read on for a few fast facts about these departments! 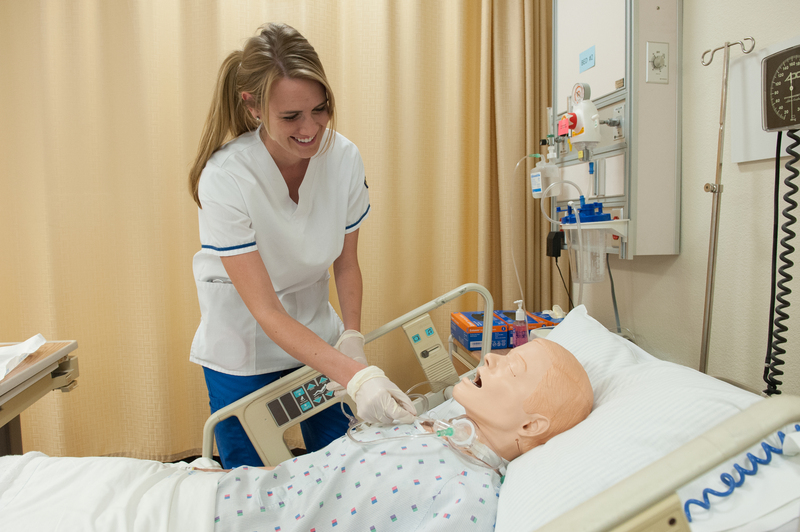 The department of nursing and health sciences is home to the emergency services program, as well as our AS and BSN nursing degrees, which are some of the most popular at PUC. We talked with PUC’s pre-nursing advisor to cover some frequently asked questions about the program. Curious if a BSN is necessary in today’s workforce? Give this blog post a read. PUC offers a two year degree in health sciences for students planning on continuing on to Loma Linda University for programs such as pre-clinical laboratory science, pre-dental hygiene, pre-radiation science, and several others. Interested in gaining some real world research experience? Look no further than the department of biology, where students conduct experiments for research projects and internships on an almost daily basis. Browse through these blog posts about student research opportunities at PUC. PUC biology students have uniquely high acceptance rates to top-notch medical and dental schools like Loma Linda University. There’s more than one way and one place to learn. 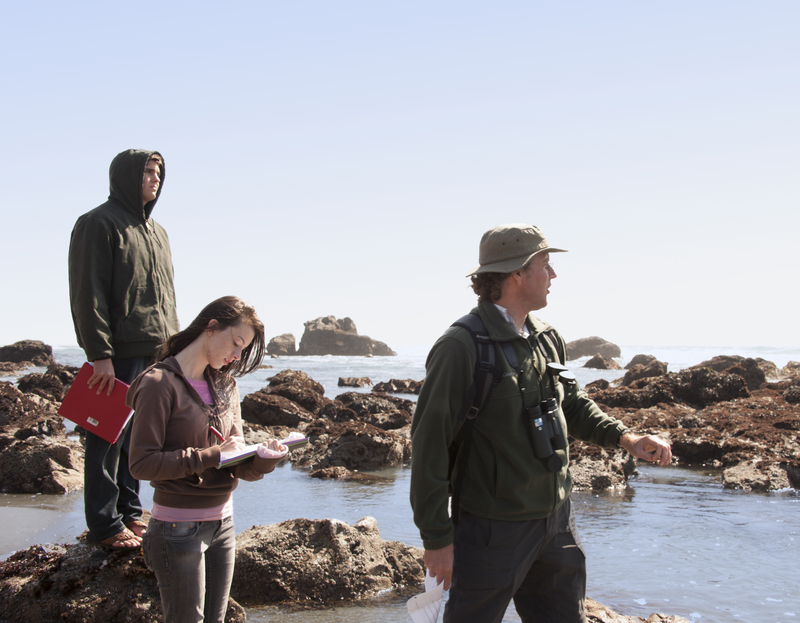 The department teaches classes on the Mendocino Coast at the college’s Albion Retreat & Learning Center, and students have traveled as far away as Brazil for tropical biology courses. For a behind the scenes look at one of PUC’s most exciting departments, check out the department of visual arts’ Instagram. PUC film students have completed internships at DreamWorks Animation, Sofia and Francis Ford Coppola’s American Zoetrope film studio, Pixar and HBO. With San Francisco just an hour a 20 minutes away, visual arts students often visit museums in the city, including the SF Museum of Modern Art, the de Young Museum, & the Palace of Legion of Honor. The sky’s the limit in PUC’s department of aviation! 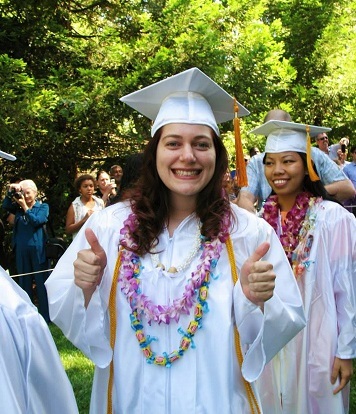 PUC is one of only two liberal arts colleges in California to offer a degree in aviation. There are many different career paths aviation students can pursue, including aerial photography, airline pilot, air traffic controller, fire fighting, and more. Read one PUC graduate’s story of how an aviation degree took him to new heights in this blog post. PUC’s $3,000 renewable Adventist Mission Scholarship is available to students actively pursuing a teaching credential for elementary or secondary education. The department of education assists graduates with job placement through events like the Education Days banquet and interviews, where prospective employers from the local conference and throughout the Pacific Union meet with students. Learn how you can tailor an education degree to fit your future career aspirations by reading about this recent graduate’s experience in this blog post. For more information about all of PUC’s degree programs and how they can help you reach your educational and professional goals, we invite you to talk with an enrollment counselor in the enrollment services office. Email enroll@puc.edu or call (800) 862-7080, option 2 today. Melissa’s Advice – Do Something New! Why did I choose Nursing? I’ve always wanted to help people, especially those who are unable to help themselves. I also find human anatomy to be fascinating. Add to that the excitement of how different medications work on the body and BAM! You have the trifecta for a desire to be a nurse. There are always a million reasons to do each job, and if those don’t appeal to you, that doesn’t mean that nursing isn’t for you. It’s okay for you to have your own reasons. Usually I have class 2-3 days a week. The other days are filled with clinical hours, one or two shifts at the hospital a week. During my free days, I try to put in as many work hours as I can and then, of course, I spent time studying and doing homework. It’s definitely a busy schedule, but if you’re able to manage your time well and motivate yourself to complete assignments and study, you’ll be just fine. I have two favorites: Pharmacology and Maternal-Newborn. Pharmacology appeals to my interest in the body and how medications work. It helps that the professor, Susan Bussell, keeps things interesting by using different candies to compare to the different medications. Maternal-Newborn, taught by Gladys Muir, interested me because of how the body changes to accommodate another human life. Again with the whole anatomy kick, the idea of creating life and your body adapting to it is fascinating. Probably the most exciting experience I’ve had relating to nursing was during my clinical rotation to the Labor & Delivery Unit. I was able to see a baby being born. It was special to see how happy the mom and the dad were when they were able to hold their baby for the first time. It was probably even cooler for me since Maternal-Newborn was one of my favorite classes. It showed me the things I learn at PUC are applicable to real life and happen in the real world. You’ve probably heard a million times that you should study hard, use good time management, and take advantage of tutoring, so I won’t go that route. Instead, I encourage you to take advantage of every opportunity for doing or learning something new in the hospital. Tell your nurse that you want to do something new and ask if there is a procedure or treatment being done that day that you could be a part of and don’t be afraid to get in there and participate. You are there to learn and become a nurse so take every opportunity you can.